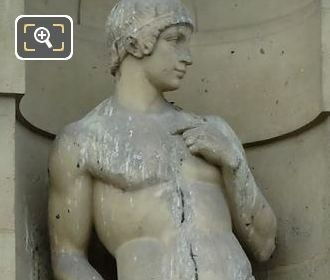 Again we were admiring the statues on the Aile de Flore wing of Musee du Louvre, located in the 1st Arrondissement of Paris, and we took these high definition photos showing the statue called Le Frondeur by Claude Edouard Forgeot. 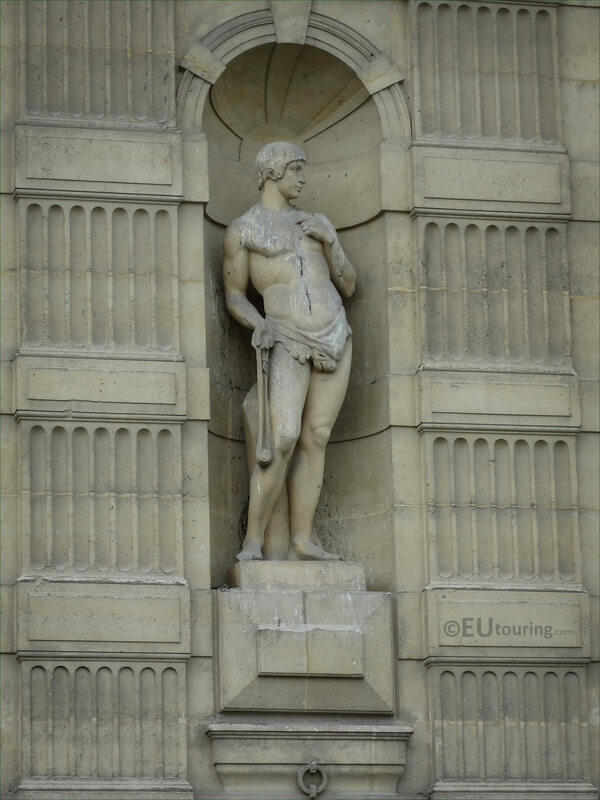 So this first HD photo shows the stone statue called Le Frondeur, which in English translates to The Slinger, and this is positioned within a niche on the first level of the Aile de Flore facade, and it is positioned as the fifth statue from the left hand side. 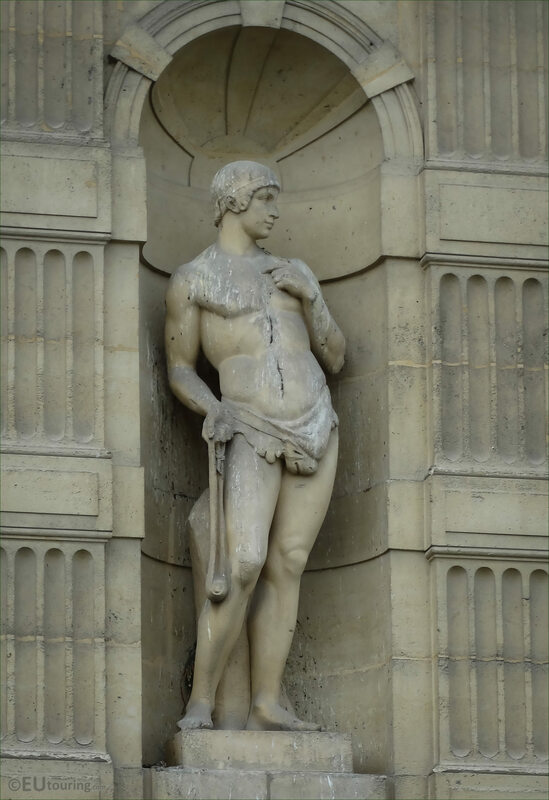 And produced by the French sculptor Claude Edouard Forgeot, who was born in 1826, and at one point studied under Francois Rude, you can see the detailing that went into producing this statue showing the sling with the stone, which was used as a weapon, and hence why the person would be called a Slinger or Frondeur in French.